Have you ever heard someone saying things that resonate with you, but only later realised whet they really mean in reality for you personally? That’s the experience I had going from Michael and Audree Sahota’s CAL I to their CAL II. I, and a group of leaders from across Australia, took Michael’s first ever CAL II in Sydney beginning at the start of October 2017 and concluding after months of peer review sessions in March 2018. Even before the three day in-person training we are invited to read more deeply about culture, agile transformation and mastering your emotions – the latter in the form of Michael and Audree’s book. Walking into the CAL II was like re-joining familiar friends, already on the same journey, already familiar with a core body of concepts. It felt more like a retreat with colleagues than a public training course. A safe place where I could reveal my challenges and leadership blocks without hesitation. The CAL II training goes deep into the implications of what Michael teaches in CAL I. Michael fleshes out more deeply the core models outlined in CAL I including the Playbook for a High Performance Organisation – something that remains core to my consulting work with leadership groups. The training also adds many additional tools such as advanced listening techniques, crucial conversations, using VAST to build trust and engagement, star on the horizon improvement goals, amplifying and dampening attractors, organisational listening and group sense making. The CAL II training helped me to more clearly recognise where I was at in my leadership roles including my bad habits. The three days allowed time for self-reflection, modelling my journey visually and candid sharing in a small group. Something that was surprisingly powerful was practice at getting to a state that Michael calls “Clear”. This is essentially a state of psychological and emotional calm that allows you to approach difficult situations thoughtfully without any of the sort of emotional flooding that makes my gut tighten and my toes clench. Other participants commented that it was during the CAL II that things that they had heard about in the CAL I training really “landed”. CAL II essentially had us “walk the talk” through practical application over the three days and commit to what we would take forward and do in our work over the following months. The four months that followed the training far exceeded my expectations. Having formed into peer review groups, we met every month to create an artefact to convey how we had applied our learnings as related to The Agile Organisation, Leadership in an Agile Context and Agile Approaches to Change. I wrote at the time that CAL II was “The most valuable training I have ever done.” I still hold that opinion. That did not happen after CAL II. 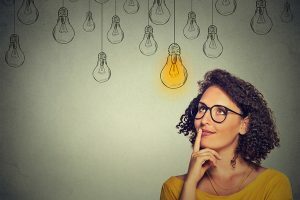 He went on to describe how, immediately after the CAL II training, he had a crucial conversation with his boss in which he convinced him to support a radically different approach to change. Instead of telling subordinates how he wanted them to work, he Listened. Using tools from the CAL training, he ran workshops to elicit what team members wanted. This covered a spectrum from values through to choices about org structure. Over subsequent sessions he described how the changes where implemented, not but him pushing but by team members pulling. His role was to “listen to the system” and find alignment. Another peer review colleague showed how he was using the 5A’s leadership model in every meeting and how he used an opportunity canvas to enable teams to find solutions to their challenges themselves. Each of the peer review presentations was followed by lively discussion – so much so that each evening meeting ran well past the expected time. We wanted to keep talking about it! If the three day training is where the CAL II learnings really land, the four month practice and peer review is where it sticks. After three months of deliberate practice of the CAL learnings the whole CAL II cohort presented learnings at a half day session. It was fascinating to see the broad spectrum of contexts and applications of the CAL learnings across this wider group as well as to get constructive feedback from Michael and Audree on this in-person. What Michael and Audree off doesn’t end after the four months either, CAL Alumni are invited to join their regular calls to share challenges and learnings with a worldwide community. CAL I is a crucial light-bulb lighter. Having the CAL I spark doesn’t mean that you are able to rise out of your habits or even understand the specific implications of the concepts for your context. That requires deep reflection and deliberate practice. CAL II involves both. I’m proud that my company – Scrum WithStyle – able to bring this crucially important leadership programme to Australia. If you have yet to take the CAL I pre-requisite to CAL II, or are ready to take the next step to CAL II, see our Certified Agile Leadership landing page. Rowan Bunning is an Australian pioneer of Scrum. He has a technical development background and spent 10 years a developer, ScrumMaster and Product Owner before becoming one of Australia’s first Agile Coaches and Certified Scrum Trainers in 2008. 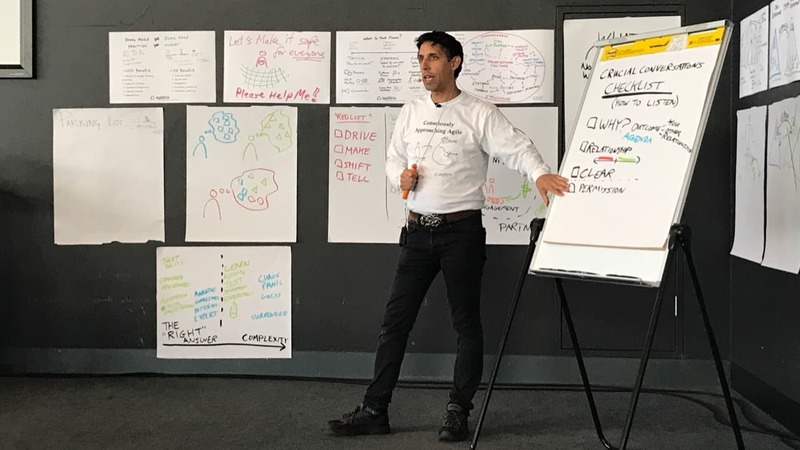 Through his boutique training and coaching company Scrum WithStyle, Rowan has trained over 5,000 people in Australia, New Zealand and Southeast Asia making him one of the most experienced Agile trainers in the Australasian region. As an Agile Coach in Australia and Europe since 2007, Rowan has a track record of facilitating accelerated Agile adoptions including team building, ScrumMaster mentoring, management consulting and cultural change. Rowan has coached organisations ranging from start-ups to global brand-name enterprises across the banking, health insurance, real estate, media, food, building security, data security, collection management, content management and video gaming industries as well as the public sector. Rowan continues to organise regular events with the Sydney Scrum User Group and has spoken at Scrum and Agile conferences in Europe, the USA and Australia since 2007.